Consultants are to be given two months to determine if the State’s fiscal regime for oil and gas exploration is fit for purpose. Government seeks to strike balance between attracting investment and maximising returns from natural resources to the State. Minister for Communications, Energy and Natural Resources Pat Rabbitte T.D., today announced that his Department has sought tenders for the provision of expert advice on the “fitness-for-purpose” of the current oil and gas fiscal terms. Independent advisers are being sought by the Government to assess if the right tax is being charged for the oil and gas industry. A review of controversial reliefs for exploration companies will be included in the audit along with the level of other special fiscal arrangements for big energy firms. Pat Rabbitte, Minister for Communications, Energy and Natural Resources, said he wants experts to review if the current terms for exploration, development and production are fit for purpose. No cases heard - next Corrib cases on Oct 9th and Nov 13th - all support welcome. Judge Gibbons presided over this months district court in Belmullet. 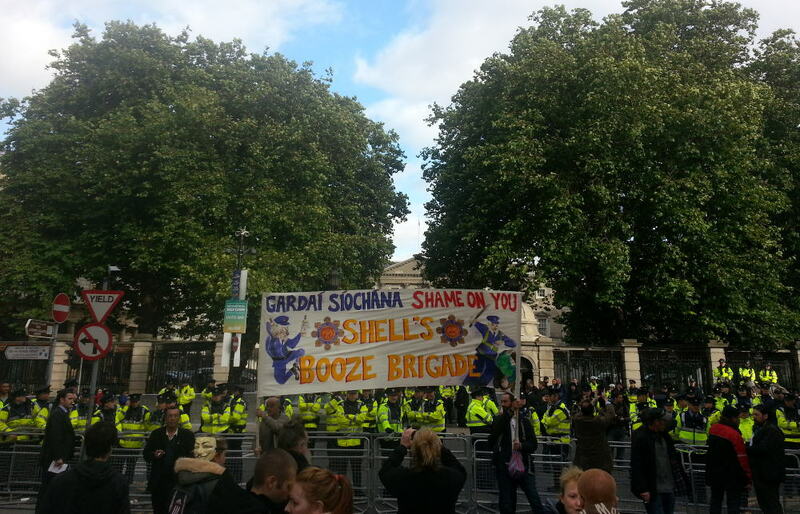 The courtroom was packed with supporters of the 8 Corrib defendants, but none of their cases were heard on the day. 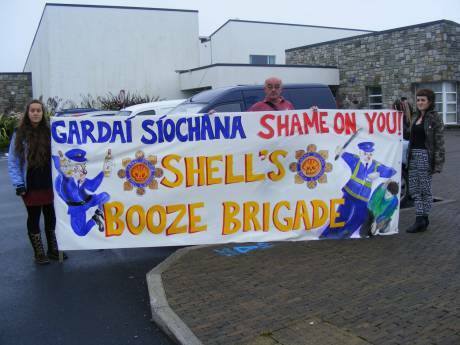 Templemore Dew - Garda Drink of the Week! Templemore Dew - our new Garda Drink of the Week! It must be disconcerting that private communications in relation to your investigation of OSSL allegations are regularly published on my website, sometimes within minutes of being sent. Subject: Tom ..what’s happening ? WHY WAS CROTHERS AT THESE MEETINGS?